After seeing my Playmobil Advent calendar unboxing Playmobil asked if we would like to review some of their other seasonal items. They sent the children some lovely Easter gifts. This years collection of Playmobil Easter Eggs. There are four styles available to buy a Fortune Teller, a Zookeeper with Seal Pups, a Space Agent with Robot and a Pirate with Cannon. They are a great alternative for non-chocolate easter eggs. 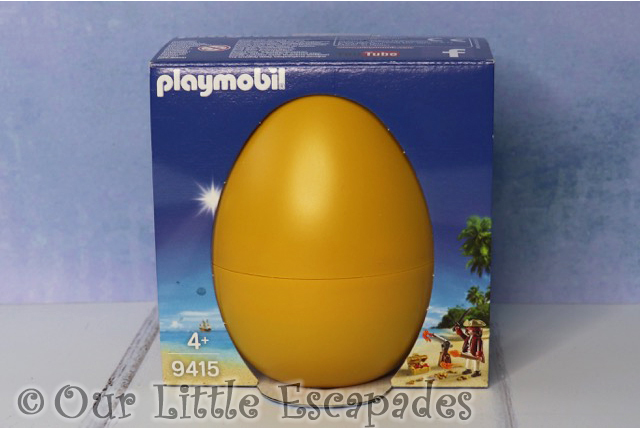 The Easter eggs can be used to store your Playmobil set or use it as a money box. Each Easter egg has an RRP of £4.99. Their age recommendation is for children from ages 4 and up. 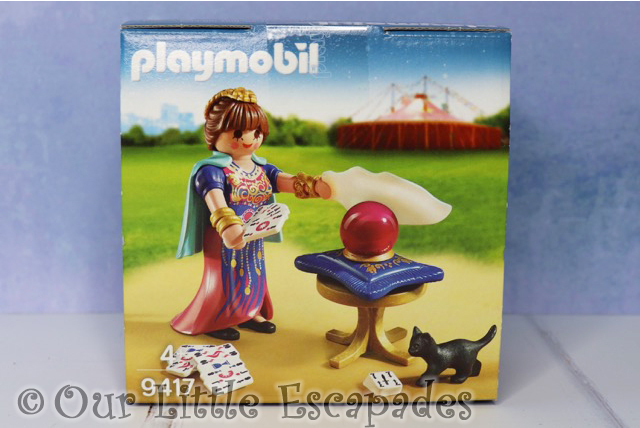 Playmobil set 9417 is the fortune teller Easter egg. Contained inside a pink Easter egg. 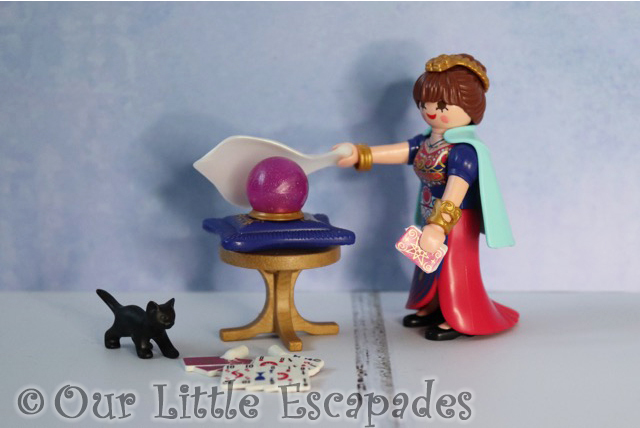 The Playmobil fortune teller can use her tarot cards and crystal ball to predict the future. This Playmobil figure cannot bend her legs in the skirt she is wearing. This means she is unable to sit down. What Will You Find Inside This Easter Egg? 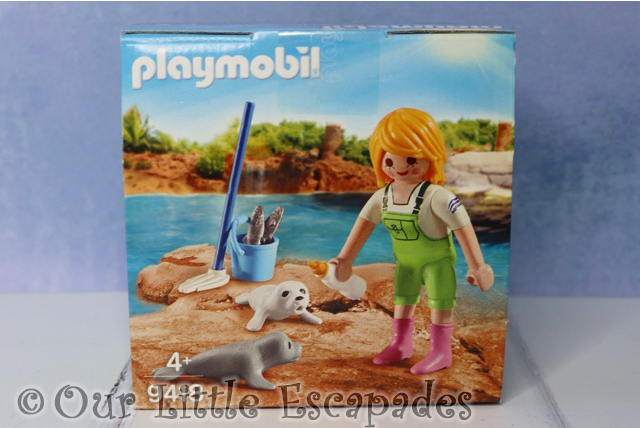 Playmobil set 9418 is the zookeeper with seal pups Easter egg. Contained inside a green Easter egg. 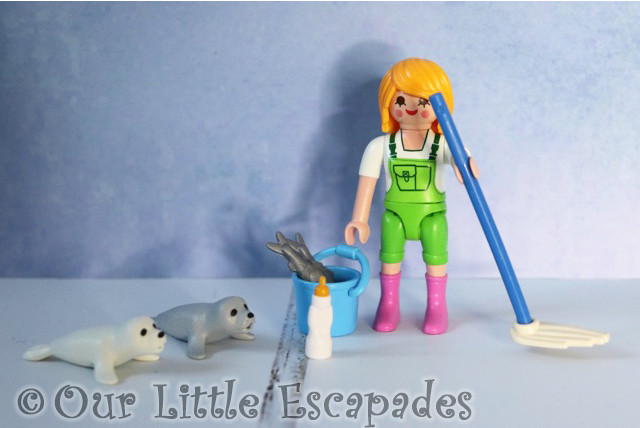 Help the Playmobil zookeeper take care of the seal pups. 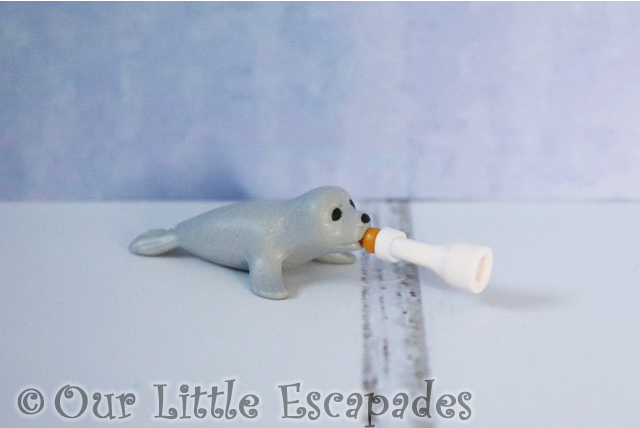 Use the provided milk bottle and fish to feed the baby seals. 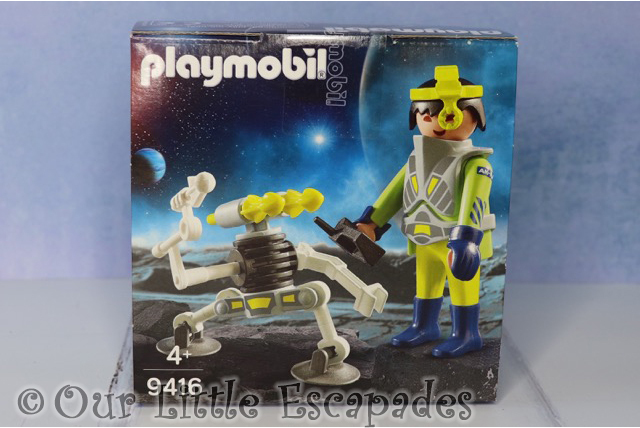 Playmobil set 9416 is the space agent with robot Easter egg. 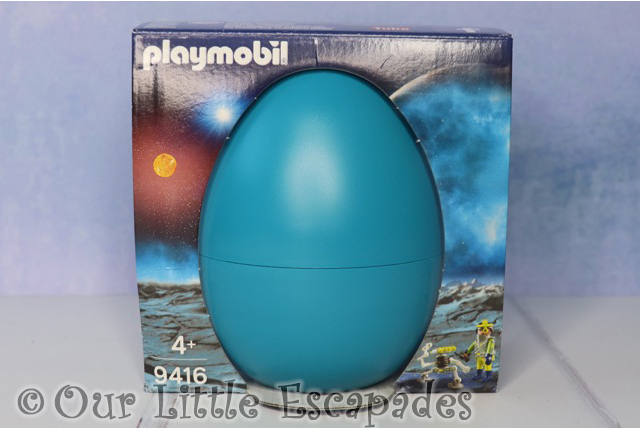 Contained inside a blue Easter egg. 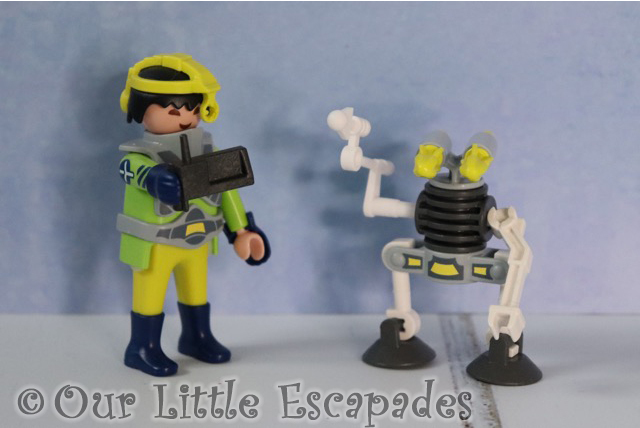 The head of the Playmobil space agent figure rotates by 180°. This means he can move his visor ring or his protective goggles in front of his face. The robot has suction cup feet which can attach smooth surfaces. The robot’s leg and shoulder joints and his hips and head can all be rotated. 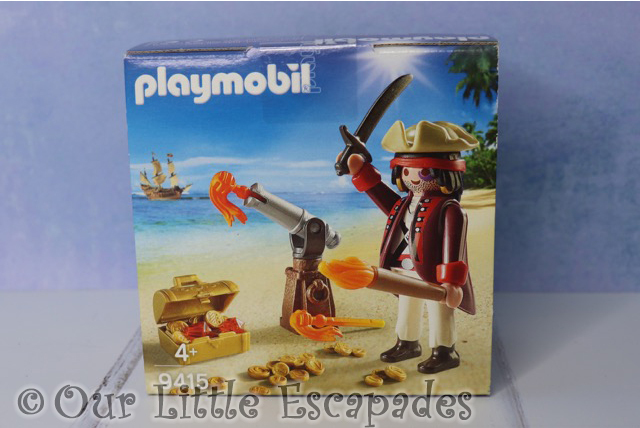 Playmobil set 9415 is the pirate with cannon Easter egg. Contained inside a yellow Easter egg. 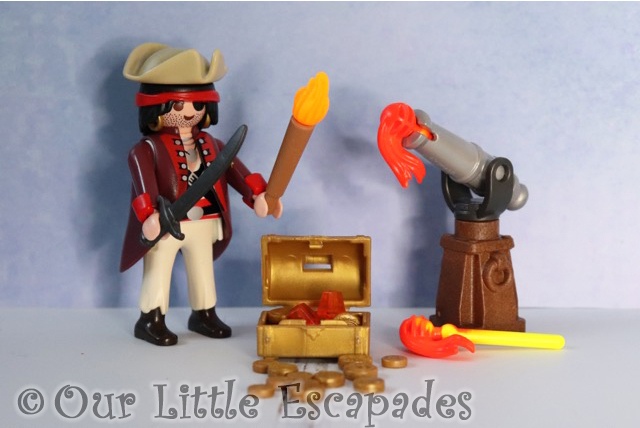 Can the Playmobil pirate guard his precious treasure? Complete with a treasure chest full of jewels and gold coins. Also a working shooting cannon. 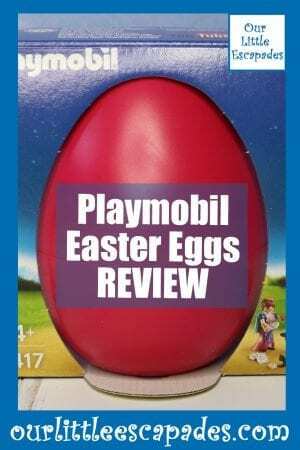 What Did The Children Love About The Playmobil Easter Eggs? Both children were very excited about opening the Easter eggs. 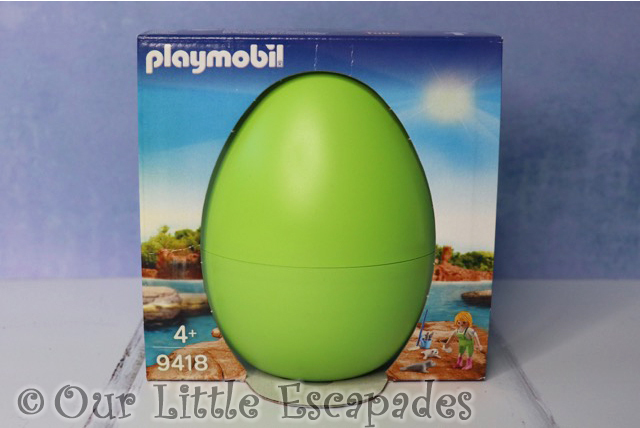 They love surprise eggs and I think the Playmobil Easter eggs reminded them of these. Little E was very excited to open the fortune teller Easter egg as it contains a cat. The zookeeper with seal pups was also a huge hit which I don’t think she was expecting. Ethan was also very excited about opening up his Playmobil Easter Eggs. I think he preferred the pirate Easter egg as he connected to him a bit more. 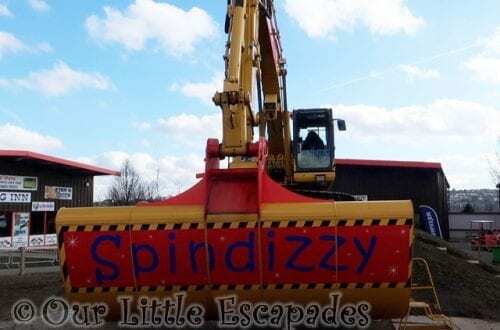 He made pirate sounds and found the firing cannon great fun. 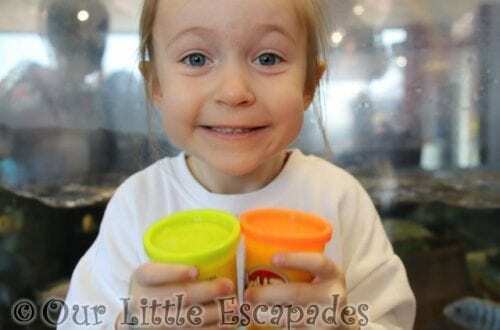 Our below video shows both children’s reactions to opening the easter eggs. What Do I Love About The Playmobil Easter Eggs? If you are looking for an Easter gift that isn’t chocolate then these are the Easter eggs for you. 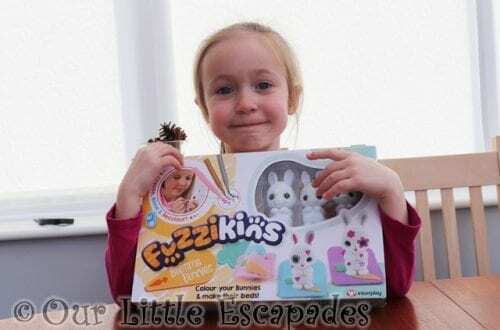 A great Easter egg that will give your children hours of playing time too. 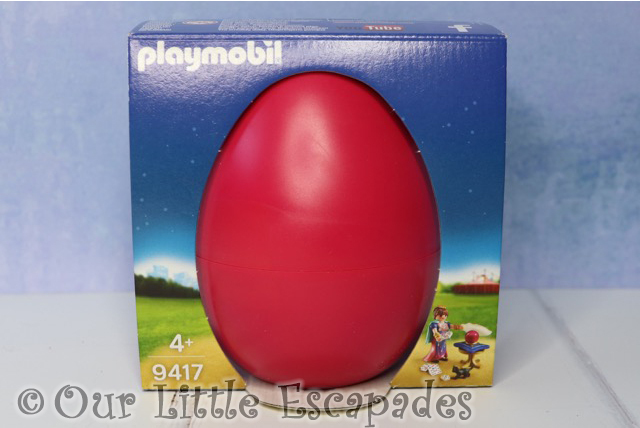 I don’t think you need to be a Playmobil collecter to enjoy the contents inside the eggs. 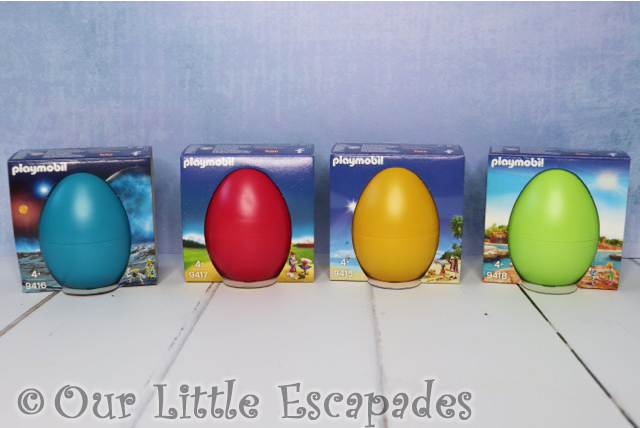 There are enough items in each egg to create small world play. 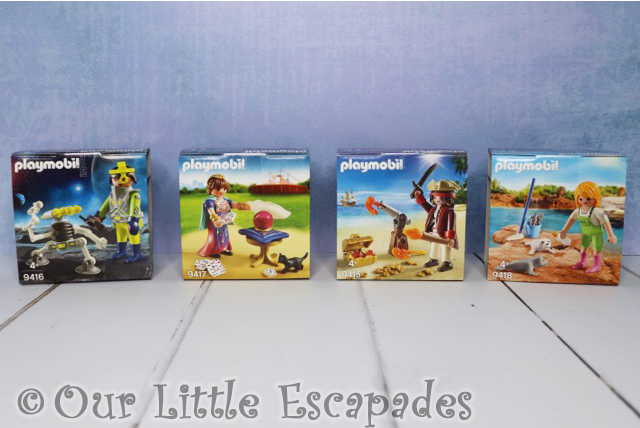 A great way to introduce your children to Playmobil. I’m sure they will want to start a Playmobil collection after they have been introduced to these Playmobil characters! 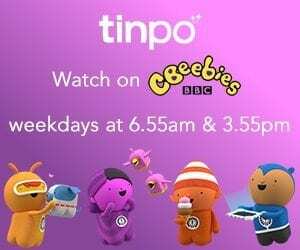 DISCLOSURE – We were gifted the Playmobil Easter Eggs for the purposes of this post and to create our YouTube video. We always give our honest opinions, findings, beliefs, and experiences of the products. *This post contains affiliate links. As an Amazon Associate I earn from qualifying purchases.